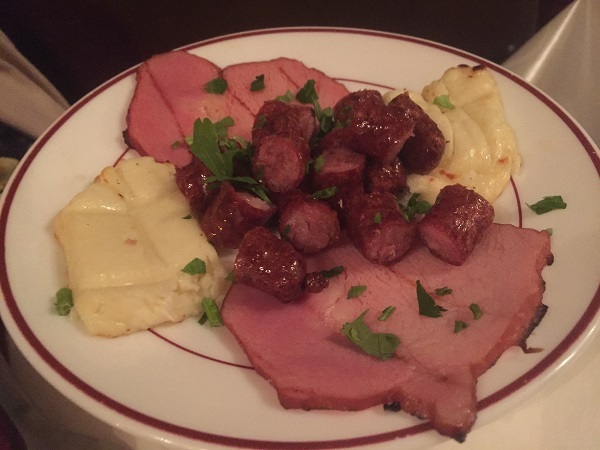 When my sister recently visited Bristol and (surprisingly – she’s a poor student…) wanted to be taken out for dinner. 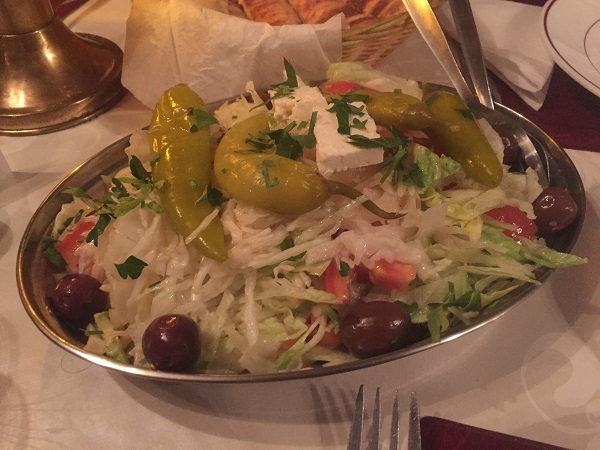 When asked what she fancied, her answer was Greek food – a cuisine that is actually offered by surprisingly few places in Bristol. So I decided to take her to one of my favourite hidden secrets, namely the Cyprus Kebab House on St Michael’s Hill. To be honest, the decor inside isn’t that great either. The whole place is very 1980s in its feel, with the walls plastered with photos and a huge wall-long painted map of Cyprus on one side. Add the Greek music to the mix, and your first impression may not be overwhelmingly positive. Believe me, though, when I say that it’s worth a try, because their food is fantastic. 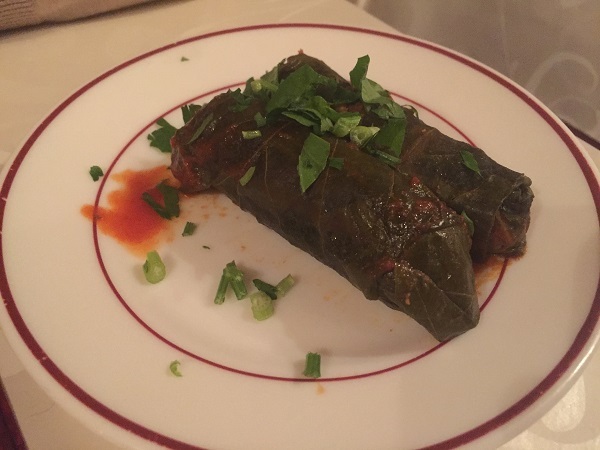 Owners George and Flora are Greek Cypriot and have brought a taste of their heritage to an unexpected corner of Bristol, with a menu that features a variety of starters, charcoal grill specialities, fish dishes and others – just make sure you arrive hungry. If you’re not sure what to order and just want to try a bit of everything, I’d recommend their Mezedes menu. 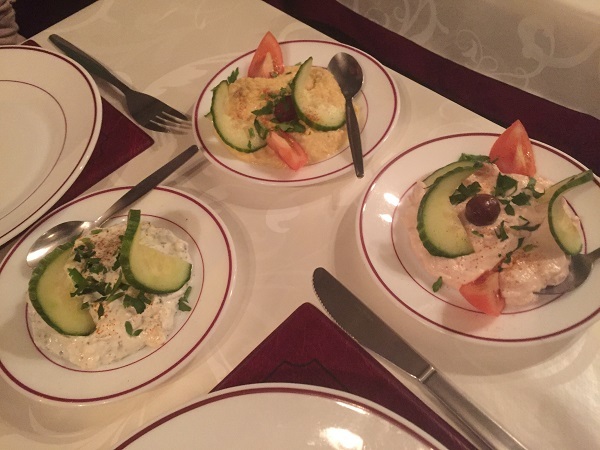 Designed for two or more to share and priced at £18.95 per head, this menu consists of a huge number of different dishes, allowing you to experience a wide variety of Cypriot cuisine at a fantastic price. 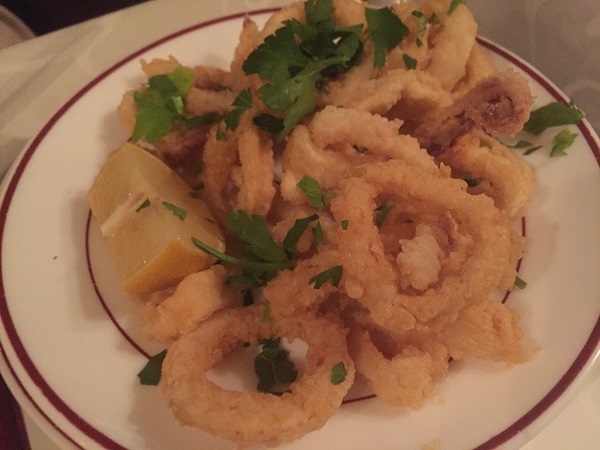 The calamari that arrived shortly afterwards were among the best I’ve had in Bristol: lovely and crisp and well-seasoned on the outside, but still perfectly tender in the middle…. 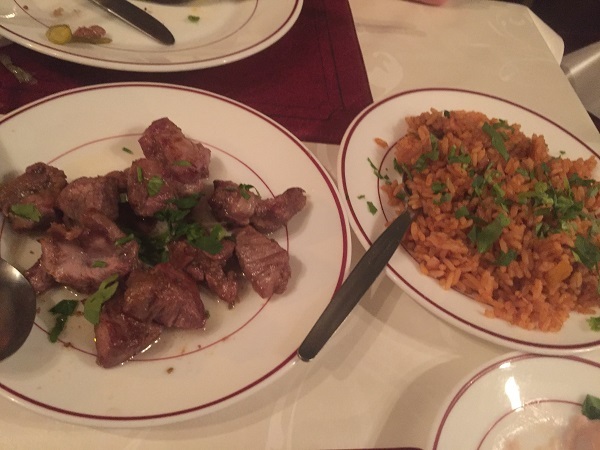 The spiced tomato rice was rich and inviting, and the dish you see on the left below – was fantastic: a traditional Cypriot afelia, namely pork marinated and cooked in red wine and coriander. Packed full of flavour and lovely and tender, it was a revelation. 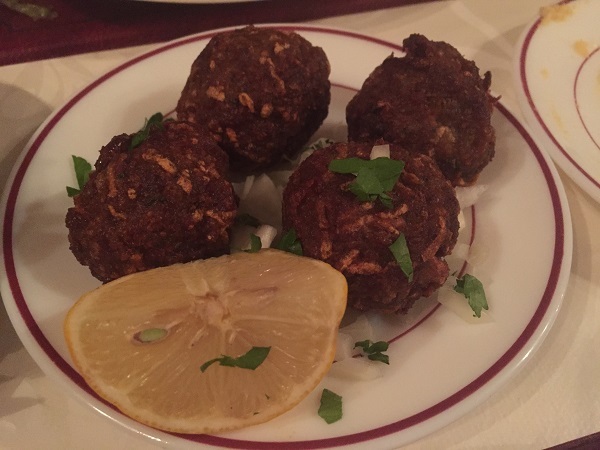 As if we hadn’t eaten enough already, we were presented with our final plate – mixed kebabs. 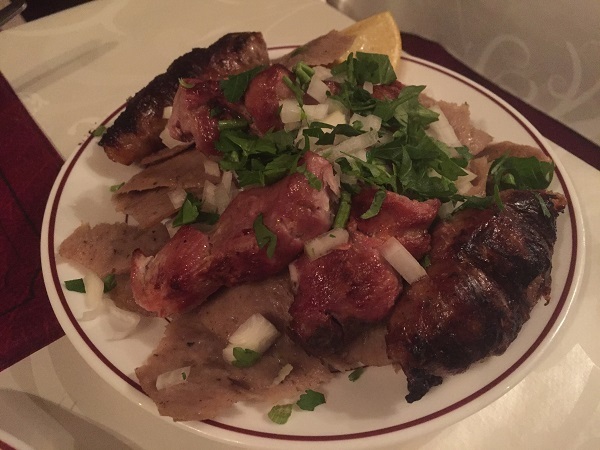 The lamb doner at the bottom was, sadly, not a patch on that we’ve eaten in Cyprus in the past, but the house-made seftalies sausages were packed full of flavour and the pork skewers beautifully cooked with a lovely charcoal flavour.